When Cora Kelly gets a job at the boys' ranch run by her birth mother, Aiyana Turner, she thinks she has a year to get to know her mother without revealing her identity. But she never though she'd fall in love with Aiyana's adopted son, Eli. Once that happens, she's forced to broaden the lie—or risk telling a very unwelcome truth. First they were playground pals and then college rivals. Now Tiffany Lee and Eddie Montoya are both teachers at Los Naranjos Elementary School, and it looks like the old rivalry may be heating up to be something more when their classrooms go head-to-head in the annual school charity run. Dani Post was on the fast track to success before tragedy left her craving the security and routine of home. But when she falls for a handsome widower and his twin girls, she realizes she must face her past if she's going to have any chance of making them her future. 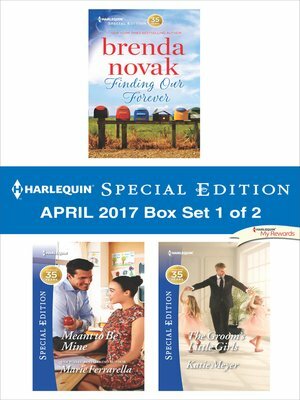 Look for Harlequin Special Edition&apos;s April 2017 Box set 2 of 2, filled with even more stories of life, love and family!